The national airline of Botswana, Air Botswana, will launch flights between Maun, the gateway to the world famous Okavanga Delta, and Cape Town in South Africa on 01 June 2012. The airline will operate daily flights on board a British Aerospace 146 aircraft between the two destinations. Air Botswana's main hub is the Sir Seretse Khama International Airport in Botswana's capital Gaborone. The airline is currently flying to 7 destinations in Southern Africa including Francistown, Maun, Kasane and Gaborone in Botswana, Lusaka in Zambia, Harare in Zimbabwe and Johannesburg in South Africa. The Namibian tourism board, Namibia Tourism Board (NTB), has launched an online marketing campaign called "Conservation Destination" that aims at increasing tourism arrivals from North America (USA & Canada). Conservation Destination, which is highlighting the remarkable conservation story taking place in Namibia, lasts six weeks (22 Apri 2012 - 01 June 2012) and centers around the stories of four personable animals from Namibia (Dara the Damara Tern, Chase the Cheetah, Roger the Rhino & Holden the Golden Mole) as they journey to Windhoek and face real conservation threats along the way. Part of the campaign is the "Conservation Destination Sweepstake/Lucky Draw" which offers a chance to win an all-inclusive 10 day trip for two pax to Namibia (USA & Canada only). Air Namibia will fly the winner and a friend from anywhere in North America to Namibia's capital city, Windhoek. The trip through Namibia includes the Cheetah Conservation Fund, the Skeleton Coast the Namib Desert and Sossusvlei. Good luck! 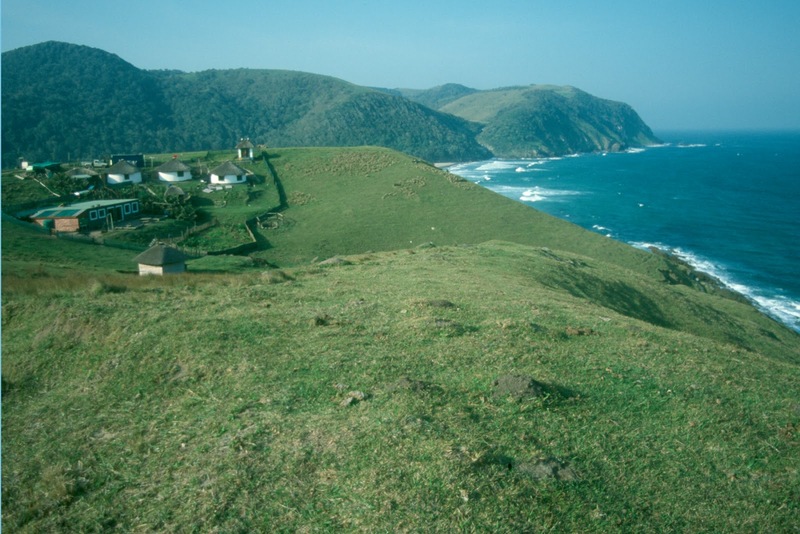 South Africa: Eastern Cape launches new tourist route "Coastal Route"
The tourism authority of South Afirca's Eastern Cape Province, the Eastern Cape Parks and Tourism Agency, has launched tourist route. The so-called "Coastal Route" covers the entire length of the province's pristine coastline. The 800km route starts at Tstsikamma and includes famous attractions such as the Tsitsikamma National Park, Addo Elephant National Park, the beaches of the Sunshine Coast, the rich heritage of Frontier Country, the picturesque village of Hogsback and the Amatola Mountains before reaching the unspoilt beaches of the Wild Coast. The new "Coastal Route" aims to showcase the Eastern Cape’s biodiversity and contrasting landscapes, which feature primeval coastal forests, white sandy beaches, diverse wildlife, ancient rock art and Xhosa culture. The route is subdivided into a number of sub-routes, each with their own unique features and characteristics. Cape Town's Cape Town International Airport has been named as the Best Airport in Africa at at the SKYTRAX World Airport Awards™, held at Passenger Terminal EXPO in Vienna, Austria. OR Tambo International Airport in Johannesburg became second in the ranking followed by Durban's King Shaka International Airport. Cairo International Airport achieved 4th place with Mauritius (Sir Seewoosagur Ramgoolam International Airport) in 5th place. Video: The history of the "Victoria Falls Bridge"
Built over the Second Gorge of the mighty Victoria Falls, the Victoria Falls Bridge crosses the Zambezi River just below the Victoria Falls and links the two towns of Victoria Falls (Zimbabwe) and Livingstone (Zambia). Constructed from steel shipped in all the way from England, the bridge is 198m long, with a main arch spanning 156.50m at a height of 128m above the lower water mark of the Zambezi river in the gorge below. The Victoria Falls Bridge, build in just 14 months and completed in 1905, is one of the few of its kind that carries a road, railway and footway. The bridge was originally referred to as the "Great Zambezi Bridge" or just "Zambezi Bridge", but became known as the Victoria Falls Bridge. Kudos munyability for the video. World Malaria Day 2012 - "Sustain Gains, Save Lives: Invest in Malaria"
World Malaria Day is commemorated every year on 25 April and recognizes global efforts to control malaria. In 2010, about 3.3 billion people - almost half of the world's population - were at risk of malaria. Every year, this leads to about 216 million malaria cases and an estimated 655 000 deaths. In Africa, malaria deaths have been cut by one third within the last decade; outside of Africa, 35 out of the 53 countries, affected by malaria, have reduced cases by 50% in the same time period. The theme for World Malaria Day 2012 is therefore "Sustain Gains, Save Lives: Invest in Malaria". The theme aims at you and me to understand the significance of the Malaria situation worldwide, but also at all the global, regional and national decision-makers and donors to keep Malaria on top of their priority lists. Despite the current economic climate, development aid needs to continue flowing to national malaria control programs to ensure widespread population access to life-saving and cost-effective interventions. Namibia's flag carrier Air Namibia has increased the number of flights to Frankfurt in Germany from 6 weekly flights to a daily service. Since 25 March 2012 the airline is operating the new service on Tuesdays from Windhoek and on Wednesdays from the third busiest airport in Europe, Frankfurt, on board an Airbus A340-300. Air Namibia is operating scheduled domestic, regional, and international flights (passenger and cargo) under the IATA airline designator "SW". The airline's international hub is Windhoek Hosea Kutako International Airport, with a domestic hub at the smaller Windhoek Eros Airport. The carrier is wholly owned by the Namibian government. Due to rising water levels in the Fish River Canyon the Namibian Ministry of Environment and Tourism (MET) has decided not to open the popular hiking route through the canyon on 01 May 2012 as is usually the case. The new opening date is anticipated to be the 15 May 2012 depending on the level of water of the Fish River. The canyon is currently considered unsafe for hikers and therefore closed to any visitors. Last year (2011) the Fish River Canyon was also closed due to the local rains in the south of Namibia and releases from nearby Hardap and Naute dams. update (08 June 2012): Precision Air has postponed the launch of its proposed Dar Es Salaam – Lubumbashi – Lusaka, which should have started operation on 18 May 2012, to 22 June 2012. Tanzania's largest airline Precision Air has announced the start of its operations to Lubumbashi (DR Congo) and through to Lusaka (Zambia) effective 18 May 2012. The airline will fly the new route using its newly leased Boeing 737-300. Flights will depart Dar Es Salaam at 10:30 AM on Wednesday, Friday and Sunday. The flight duration is 2hrs. Precision Air also announced plans to commence flight to Angola later in the year as the projected growth takes root with more frequencies and more destinations. Precision Air currently operates scheduled air services between Dar Es Salaam and 16 destinations in Tanzania, Uganda, South Africa, Comores, Zimbabwe and Malawi. The airline's main base is Julius Nyerere International Airport, Dar es Salaam with hubs at Kilimanjaro International Airport and Mwanza Airport. Adventure travel company G Adventures announced its first sailing holidays along the West African coastline aboard the M/S Expedition. Passengers can choose from three itineraries, of which two are departing from Cape Town in South Africa, that visit more than 10 African nations in April 2013. G Adventures new Africa tours are among the first of their kind in the region, with ports of call including Ghana, Senegal, Benin, Cameroon and Togo. All itineraries boast a solid combination of activity and leisure. Passengers have time to spot rare birds and wildlife with skilled naturalists, visit UNESCO World Heritage Sites and the birthplace of voodoo, trace the roots of slavery, and learn about the region from the experienced expedition staff, including historians, anthropologists and ornithologists. Passengers will also explore unreachable coastlines, and visit uninhabited islands and traditional villages. A notable highlight is the opportunity to discover the Bijagos Archipelago off the coast of Guinea-Bissau. The island is a UNESCO Biosphere Reserve, and is one of the most unexplored places on earth. The 140-passenger M/S Expedition features large cabins equipped with en-suite bathrooms and windows, providing an exceptionally spacious and comfortable experience for all guests. Travellers planning to drive by car all the way from Johannesburg to Cape Town (or vice versa) should watch Jordi Giralt's great drivelapse video that he made during the 1400km/900mi (or 16hrs) trip from Florida Park in Johannesburg and Kenilworth in Cape Town. To cover the journey, Jordi took about 6000 photos with his camera which was placed right behind the wind shield of the car. If you got some spare 5min, watch the video, enjoy the landscape, villages and towns Jordi drove through and listen to the great background music (Boards of Canada - Chromakey Dreamcoat). Kudos Jordi! According to the latest figures published by South Africa's Department of Environmental Affairs (DEA), 181 rhinos were illegally killed by poachers in South Africa so far in 2012 (as of 19 Apr 2012). Compared to the stats published on 04 April, a shocking number of 12 more rhinos got killed in just over two weeks. The Kruger National Park continues to bear the brunt of the losses with 111 rhinos having being killed illegally since the beginning of this year. A total of 113 suspected poachers have been arrested since the beginning of 2012 (23 more than 15 days ago). Airports Company South Africa (ACSA) has published the on-time performance results of domestic airlines’ flying out of OR Tambo in Johannesburg, Cape Town International Airport, and Durban's King Shaka International Airport in March 2012.
update (30 Nov 2012): The organisers of the Sauti Za Busara festival have uploaded a playlist of their favorite artists performing at the festival in 2013. Enjoy! The organisers of Zanzibar's famous festival Sauti Za Busara just announced that next year's editon of the festival will take place from 14 - 17 February 2013. The festival's venue will again be the Old Fort in the insland's capital Stone Town. Highlights of the 10th edition of the Sauti Za Busara will include performances from about 200 musicians from East Africa, Africa and the World, as well as screenings of African music films and a festival market place where food and drinks, but also music CDs, jewellery, clothing and handicrafts will be on offer. Around festival time, Zanzibar will be buzzing with a range of fringe events, such as traditional ngoma drum and dance, fashion shows, dhow races, open-mic sessions, after-parties and performances of Zanzibar’s oldest Taarab orchestras are arranged by the local community. Some good reasons to visit Zanzibar in February 2013. Also keep in mind that the festival will be beginning on Valentines Day (14 Feb 2013)... Enjoy! Video: Necking between two giraffes ends with a knockout! "Necking" is pretty common way of fighting between male giraffes and is used to establish dominance. In such a fight, giraffes are usually swinging their heads at one another and the one that can hold itself more erect wins the fight. In most cases the fights are looking way more dangerous than they acutally are, but sometimes necking can also turn violent and the giraffes start to land heavy blows with their horns against their opponent. Kudos National Geographic Wild for the video footage! I have seen male giraffes fighting, or "necking", but I have actually never seen a giraffe getting knocked out and fall in a fight. Have you ever seen it? 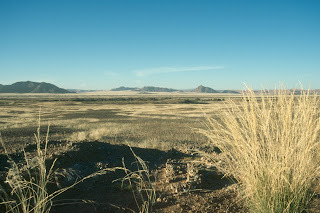 update (19 Feb 2013): Namibian newspaper "New Era" is again reporting about the possible declaration of the Namib Sand Sea as a World Heritage Site in its online edition (19 Feb 2013). According to the newspaper, an UNESCO evaluation mission visited the Namib Sand Sea in September 2012 and also submitted a report to the Board of the International Union for the Conservation of Nature (IUCN), but will only by June 2013 let Namibia know if site will get declared a World Heritage Site. Namibia's newspaper "New Era" is reporting in its online edition (17 April 2012) that Namibia has submitted the "Namib Sand Sea" for nomination as a World Heritage Site. The newspaper qoutes the Chairperson of the Namibia National Commission for UNESCO, Dr Marius Kudumo, saying that the nomination dossier has already been sent to the World Conservation Union (IUCN), which is evaluating natural heritage nominations, and that it is expected to be considered by the World Heritage Committee in 2013. The "Namib Sand Sea" covers an area of about 34,000km² and lies within the Namib-Naukluft National Park, south of the Kuiseb River in central Namibia. It is one of the world's oldest and largest sand deserts and known for its vast panoramas of majestic dune-scapes. Twyfelfontein, which was declared as a World Heritage Site in 2007, is currently Namibia's only official World Heritage Site. To be included on the World Heritage List, sites must be of outstanding universal value and meet at least one out of ten selection criteria. These criteria are explained in the "Operational Guidelines for the Implementation of the World Heritage Convention". Please visit the UNESCO World Heritage Centre's website for more information about the critiria for selection. South Africa's flag carrier South African Airways (SAA) and the Portuguese national carrier TAP Portugal expanded their current code-share service on international flights between Portugal and South Africa. Since 07 March 2012 new services are available in addition to the current code share services offered via London on SAA-operated routes between Johannesburg, Cape Town and London, and on TAP Portugal-operated routes between London and Lisbon. Customers of South African Airways are benefiting from new connecting code share services beyond Lisbon to other Portuguese destinations within the TAP domestic network, including Porto, Faro and Funchal (Madeira). TAP Portugal customers are in return benefiting from connecting flights beyond Johannesburg to other South African cities in the SAA domestic network, such as Cape Town, Durban, Port Elizabeth and East London. The code share agreement between the two airlines, both members of the Star Alliance, has also been expanded to include Accra in the West African country of Ghana. TAP will operate the Lisbon <> Accra route with SAA as the code share partner, while SAA will operate the Accra <> Johannesburg route with TAP Portugal as the code share partner. South Africa's Minister of Water and Environmental Affairs, Ms Edna Molewa, published new norms and standards for marking rhino horn and trophy hunting for immediate implementation. According to the new norms and standards, all live rhinos sold and transported after the commencement of these norms and standards that have not been micro-chipped before, or where the micro-chip is no longer detectable must be micro-chipped on the left shoulder of the rhino and on each of its horns. 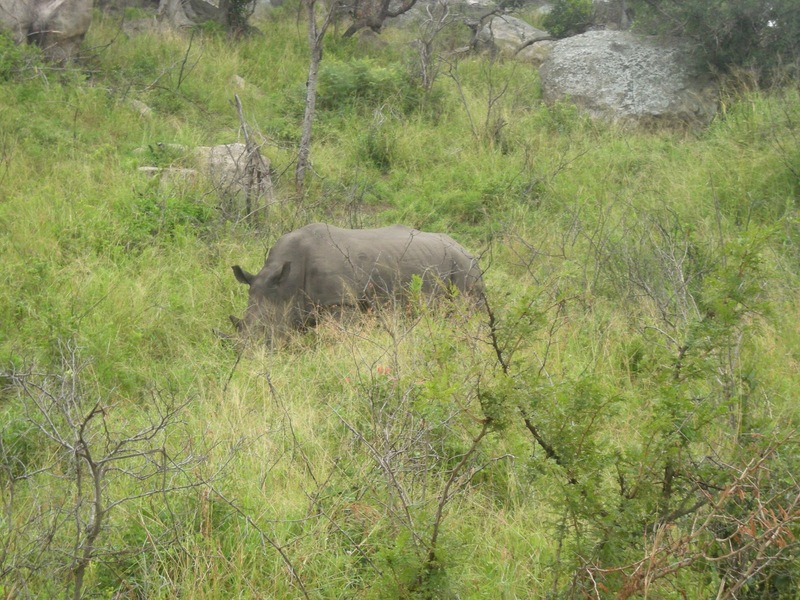 All rhino horns, whether acquired by a legal dehorning procedure, natural mortality or where the rhino has lost its horn in a natural manner must be micro-chipped within five days of acquiring the horn. In addition to micro-chips, if the horn or part of it was more than 5cm in length, the issuing authority would mark it with indelible ink. 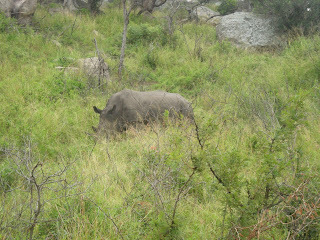 Regarding the hunting of rhinos, applicants now have, in addition to the application for an actual hunting permit, to submit proof of membership of a hunting association recognised by the applicant's country of residence, a curriculum vitae indicating the applicant's hunting experience, proof of previous experience in hunting an African species, and a copy of the applicant's passport. 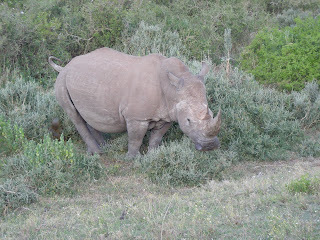 The new norms and standards are also stating that a hunting client can hunt only one white rhino for trophy purposes within a 12-month period, that rhino hunts have to take place in the presence of an environmental management inspector, or an official of the issuing authority authorised to conduct compliance inspections, and that the horns, together with the rest of the trophy, have to be transported by a duly authorised person directly to the taxidermy or similar facility to be processed and prepared for export. Click here to download the Gazette No. 35248 of 10 April 2012 (pdf). Qatar Airways will tomorrow (17 April 2012) launch an amazing three-day global sale to more than 100 destinations worldwide. Passengers from Doha and around the world can avail the special fares taking advantage of up to 25% off both Economy and Business Class prices. The round-trip fares are inclusive of all taxes and surcharges. The 72-hour sale booking window opens at midnight 00:01 hrs (local time in each market) on Tuesday 17 April 2012 and ends on Thursday 19 April 2012 at 23:59 hrs (local time in each market). Passengers can choose from a diverse range of more than 100 business and leisure destinations served by Qatar Airways, including Cape Town, New York, Sao Paulo, Bangkok, Athens, Singapore, Istanbul, Maldives, New Delhi, Goa, Munich, Stockholm, Copenhagen, Casablanca and Melbourne via the airline’s Doha hub. For more information visit Qatar Airways' website! "KONY 2012: Part II - Beyond Famous"